* Hamilton vs Petrov. A very good battle .. quite dramatic! 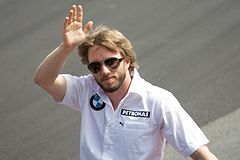 * Alonso passing Button into the first corner, and then retiring with a blown engine! 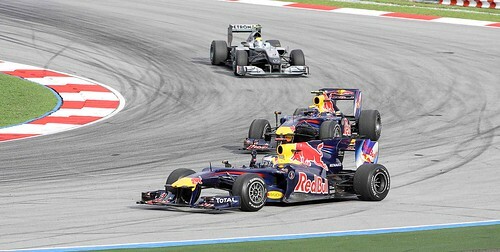 It was nice seeing Vettel winning his first race of the season, especially after what happened seven days beforehand! Hamilton drove a strong race to finish sixth, though I felt his tactics against Petrov were a little aggressive! The McLaren’s F-Duct “stalls” the rear wing, reducing drag and improving the straight line speed of the car! Expect to see these devices on other cars before mid-season. I rate the race a solid 7/10! More pictures will follow in the next few days!